Few periods of U.S. history evoke a sense of adventure and excitement like the California Gold Rush, and you can learn about this rip-roaring period of American history at the California Trail Interpretive Center. From young dreamers to families, thousands crossed the American plains in search of elusive gold, hoping to achieve the American dream. On January 24th, 1848, James W. Marshall found gold near Sutter’s Mill, a landmark on the California Trail. John Sutter, a Sacramento pioneer and entrepreneur, wanted to keep the news quiet, but it didn’t take long for word to spread that California’s Sierra Nevada Mountains were filled with gold. 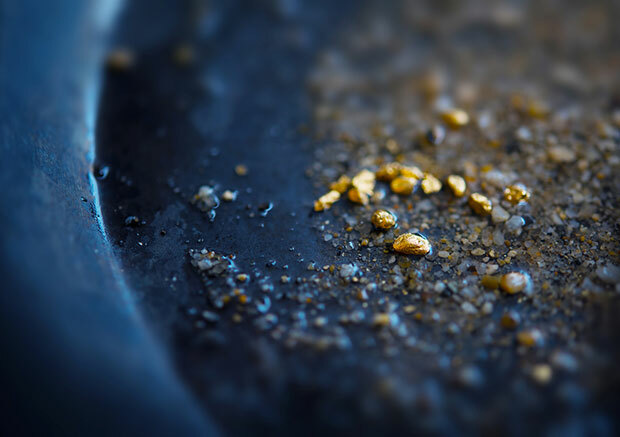 In August of 1848, the New York Herald reported the discovery of gold in California and the rush officially began! Thousands of western immigrants set out for a chance to strike it rich, and the U.S. would never be the same. While some immigrants traveled by sea around South America and into San Francisco harbor, many more made the trip overland, traveling the California trail. When the news first broke, not everyone thought it was true, but it didn’t take long for people to believe it. The small settlement of San Francisco contained a population of approximately 1,000 people in 1848. By 1850, the city had exploded to more than 25,000! An estimated 150,000 people traveled the California trail doing the gold rush, seeking fortunes and a chance at a better life. In today’s currency, the gold found during the California gold rush was worth tens of billions of dollars. Though many people did find gold and make a lot of money, the majority of the gold prospectors left empty-handed. The people who truly became wealthy during the gold rush were merchants and bankers, who prospered by doing business with the forty-niners and other immigrants. By 1855, the California gold rush had ended, but California was a state, and the landscape of the American West was forever changed. See the California Trail and learn about the westward immigrants who traveled thousands of miles chasing gold and dreams at the California Trail Interpretive Center. Learn about trail history from a mountain man, see an encampment, walk the trails, and engage with interactive exhibits. History is waiting for you.